Bahrain, Egypt, Saudi Arabia and the UAE all cut diplomatic ties and began a boycott of Qatar in June. A top Emirati security official said that the Qatar diplomatic crisis can end if Doha gives up hosting the 2022 FIFA World Cup — the first time someone from the four Arab nations boycotting the country directly linked the tournament to resolving the months-long dispute. While Dubai security Lt. Gen. Dhahi Khalfan is often outspoken on Twitter, his tweet on Sunday night on the crisis comes as those opposing Qatar increasingly target the upcoming soccer competition in their criticism. 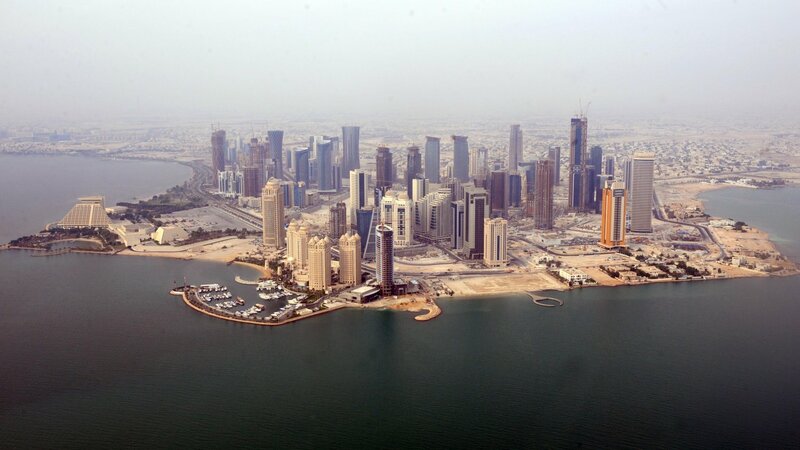 Qatari officials did not respond to a request for comment on Monday. However, the 2022 tournament's head in Qatar told The Associated Press on Friday that the boycott poses “no risk” to the competition being held. “If the World Cup goes out of Qatar, the crisis in Qatar will end because the crisis was made to break it,” he wrote. He added: “The cost to return is more than what the al-Hamdeen have planned for,” likely referring to Qatar's former ruling emir Sheikh Hamad bin Khalifa Al Thani and former Foreign Minister Hamad bin Jassim Al Thani. Some believe both still wield influence within Qatar's current government now ruled by the former emir's son, Sheikh Tamim bin Hamad Al Thani. Khalfan, who previously has written controversy-catching tweets about Israel and President Donald Trump, later wrote that Qatar “is no longer our concern,” suggesting media in the boycotting countries dial back their coverage of the dispute. As the crisis has dragged on despite mediation by Kuwait, the United States and European nations, Qatar's opponents have begun targeting its hosting of the FIFA cup. They've pointed to allegations of corruption surrounding Qatar's winning bid, as well as the conditions that laborers working in Qatar face in building infrastructure for the games. When Qatar's sole land border with Saudi Arabia was closed and sea traffic cut off by the boycott, World Cup organisers were forced to instigate a “Plan B,” including bringing in supplies from Turkey. “There might have been some minimal increase in terms of establishing alternative supply chains but these have been absorbed very, very quickly and been normalised as these supply chains have been put in place,” he said.